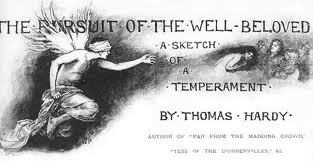 The Well-Beloved was Hardy’s last novel – serialised in 1892, and published in novel form in 1897. Following the furore that surrounded the publication of Jude the obscure in 1895, Hardy turned his back on novel writing, and devoted himself to his poetry for the remaining thirty years of his life. The Well-Beloved is a work that Hardy himself revised several times, in 1897 for the novel’s publication, and again in 1903 and 1912. The edition I read uses Hardy’s revised 1912 text. Coincidently I recently read a novel called ‘Winter’ – about Thomas Hardy and his second wife Florence at the very end of Hardy’s life. Exploring the idea that his character Tess, was Hardy’s own ideal – his Well-Beloved, a character based upon a young milkmaid whose daughter was to later play the part of Tess in a stage production. Winter was therefore great preparation for re-reading this novel. A novel often categorised as being one of Hardy’s Romance and Fantasies. The themes that Hardy explores in this novel are not unfamiliar ones for Hardy readers; conventional marriage, the search for an ideal and the effects of the passage of time. The Well-Beloved of the title – is an ideal, a spirit which the central character Jocelyn Pierston, believes comes to temporarily inhabit the physical form of subsequent women and girls. Structurally the novel is divided into three sections, charting Jocelyn’s romantic life at twenty, at forty and finally at sixty, the three stages of his romantic education with three generations of women. The story of a transient spirit transferring itself from woman to woman is of course is the story that Jocelyn Pierston tells himself and his artist friend Somers in order to excuse what is obviously his own flighty, inconsistent behaviour. Jocelyn is a sculptor – from a small “island” community, in fact a peninsular described by Hardy as the Gibraltar of Wessex – where a few families exist mainly by working in the stone quarrying industry, marrying and intermarrying for generations. The community have their own traditions surrounding betrothal which involves couples sneaking off together to fully consummate their relationship – thus making marriage necessary. Jocelyn has moved away from his island home, making his life mainly in London, he comes back from time to time to visit. When he is twenty Jocelyn’s ideal of the Well-Beloved inhabits the form of Avice Caro – a girl he has known since childhood. Having asked Avice to marry him, the couple decide not to go through the form of traditional betrothal; Jocelyn later abandons Avice to run off with another woman, the daughter of his father’s greatest business rival, in whom he again sees the spirit of The Well-Beloved. In later years Jocelyn finds his Well-Beloved in other places and in other women, it becomes a more fleeting ideal with the passage of time. At forty Jocelyn returns to his Wessex home briefly, where he meets Avice Caro’s daughter Ann Avice and in her immediately sees the Well-Beloved again. In his sixties it is her daughter, Avice the third to whom he becomes briefly engaged. With the passage of time Jocelyn comes to believe that the original Avice was the woman he least appreciated – the hereditary link between these three women seem in part at least, what draws Jocelyn toward them. These three stages of Pierston’s romantic education concludes with Jocelyn changing his attitude somewhat in the search for his ideal – contenting himself with affection and companionship with one single woman. The premise of this novel is an odd one I suppose, and yet Hardy makes it work, allowing him as it does to explores those old familiar themes. 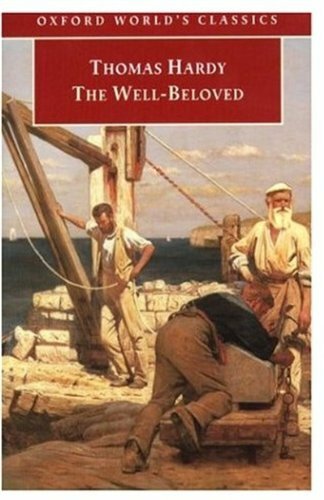 This was my third reading of The Well-Beloved – a likeable enough Hardy novel although not a favourite of mine – I do think it offers us an interesting perspective on Hardy’s own attitudes to love, marriage and the pursuit of the ideal. I’m trying to think if I read this one. I could have sworn I read all of is novels but the plot doesn’t sound familiar. I think it might be one of the often forgotten novels. It’s still certainly worth reading. I’m slowly working through Hardy’s novels and there are a few of the better known ones that I still haven’t read, so I’ll probably leave this one until later. It does sound interesting though and I’m looking forward to reading it eventually. Glad to hear you’re reading Hardy. There is so much to be got from them.